Sheri Midgley Realty was formed in 1989. Sheri wanted to create a more personal and less corporate way of brokering in the Central Valley real state market in California. The result is a highly successful brokerage specialized in Stockton, Lodi, Manteca and Tracy areas that focuses on you and your needs. 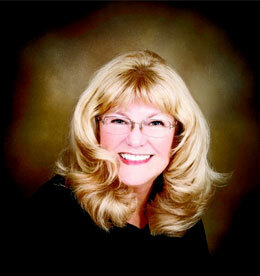 All of the agents at Sheri Midgley Realty are highly experienced with the nuances of buying and selling properties. Sheri Midgley is a dedicated broker and a team of support people are here to bring you the quality of services and communications you deserve and expect from Sheri Midgley Realty. Sheri Midgley and her agents are proficient in working with bank owned properties, short sales, first time buyers, move up buyers and sellers, investment properties, relocation, and retirement communities. If you are looking to buy or sell a house in the area or have questions don’t hesitate to contact us. Sheri Midgley brings a successful history of real estate marketing and trained real estate sales negotiator, over 1,000 closed escrows and satisfied clients over the past years. She adds a special element to the Central Valley with her sales success not often found in Today’s real estate culture. When Sheri is not selling real estate she enjoys spending time with her family and friends. You might find her traveling to Tahoe to see her son Chad and his family, when he is not saving lives, creating fun things in the garden with her daughter Julie who she sees daily since she is the office manager or dining out at Ernie’s Food and Sprits where her son Michael is the executive chef. Most of all she enjoys her 8 amazing grandchildren. Call Sheri to help you realize your dream of home ownership, whether it is your first house or your last.